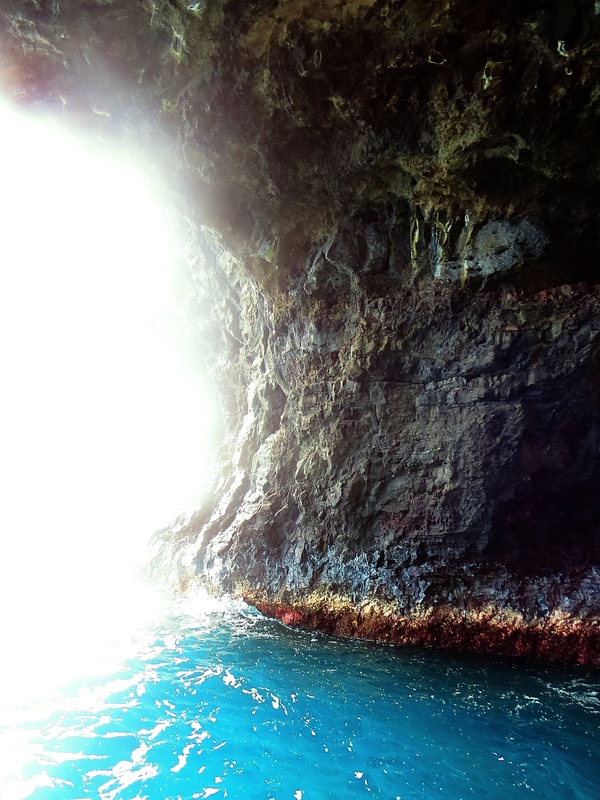 The Na Pali Coast located in Kauai, Hawaii is one of the most beautiful spots in the world. 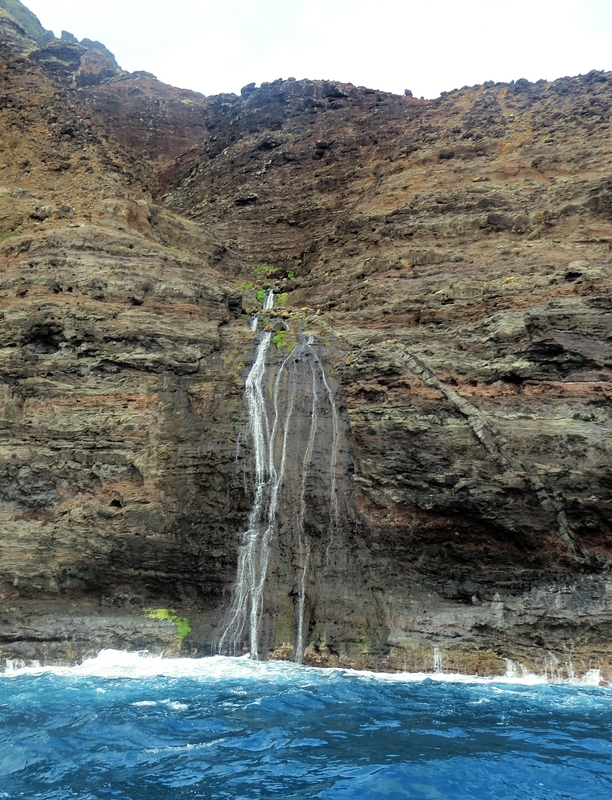 The only way to see these beautiful cliffs are by boat, helicopter, or hiking them. 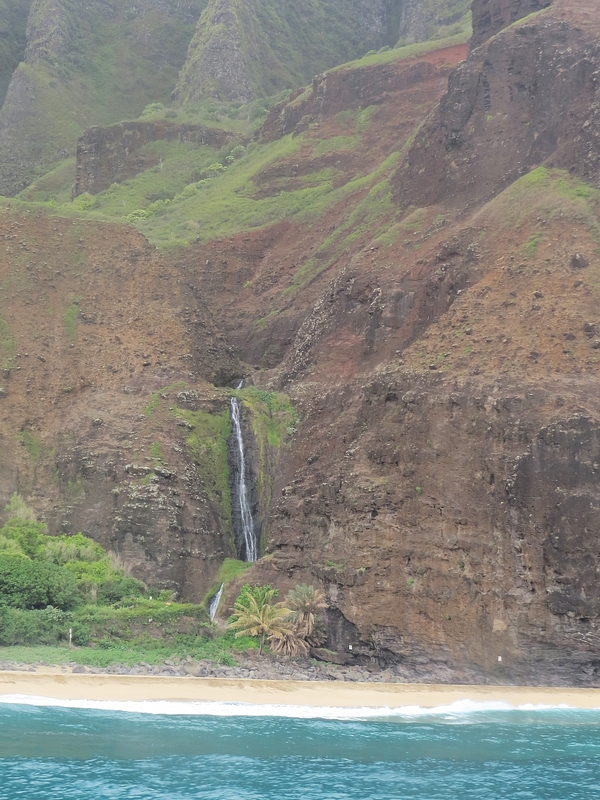 I recently took the Niihau + Napali Super Tour with Holo Holo Charters, and I am in awe at the gorgeous scenery that I saw. 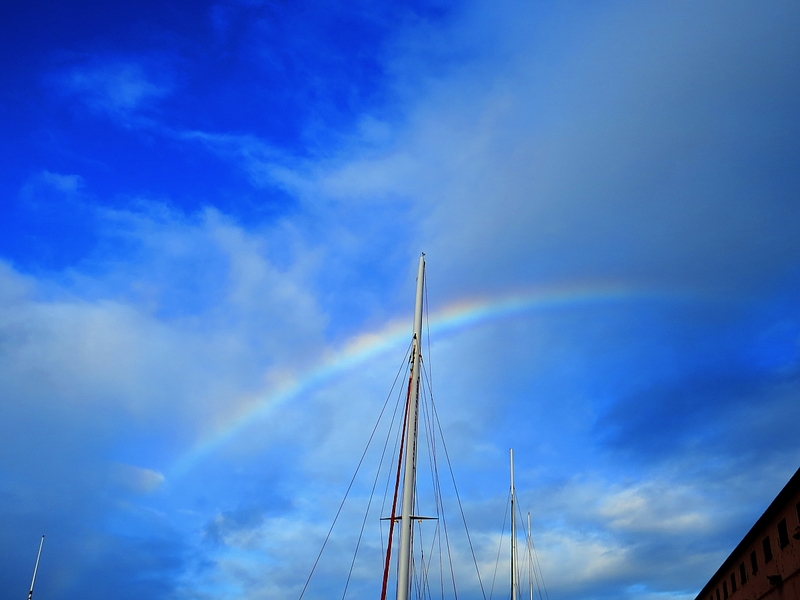 Our day started with a rainbow and a safety briefing from the awesome crew who gave incredible service and took extreme care of our safety the entire day. 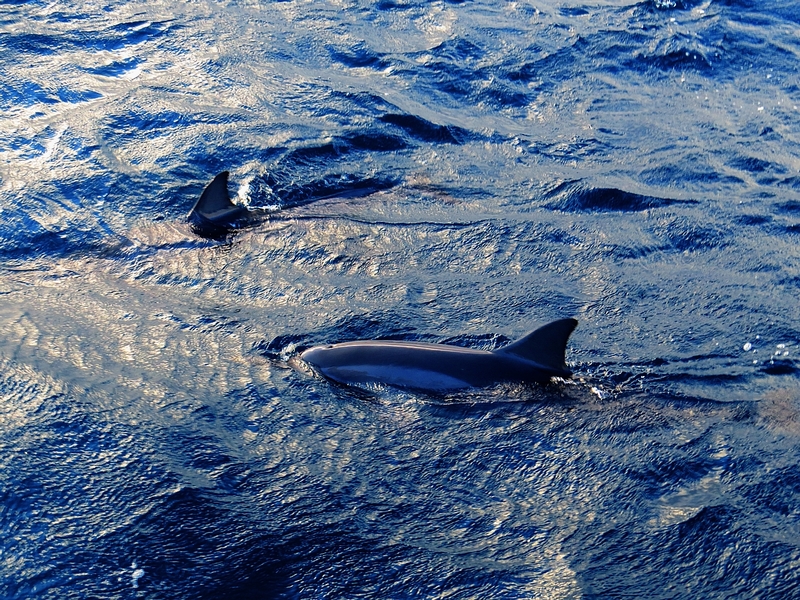 From the minute the boat started sailing, we had spinner dolphins surround our boat which made the day special from the very beginning. 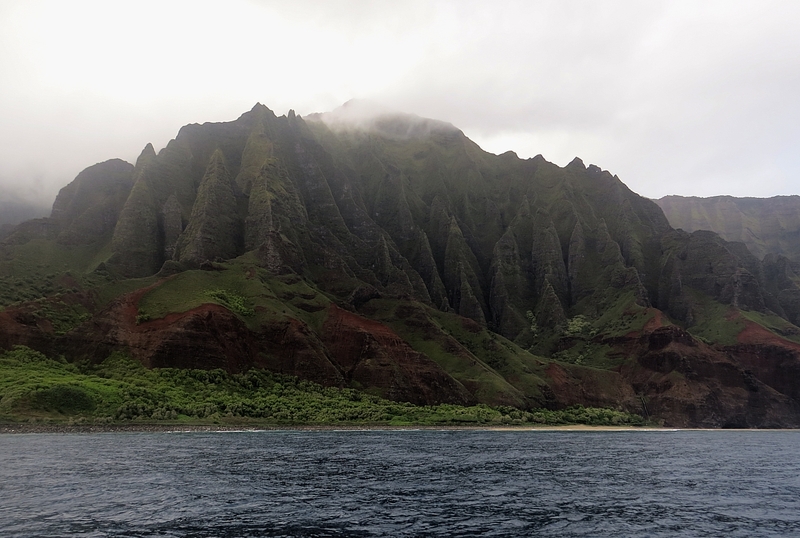 The boat slowed down heading back from the Na Pali Coast so we could get a better look. 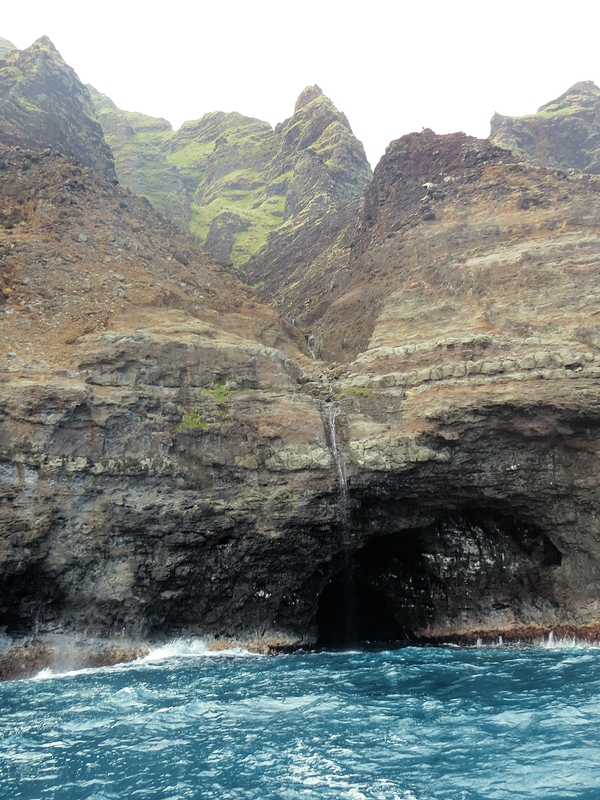 Many used to live on the Na Pali coast because the cliffs acted as a natural fortress. They lived only on the food they could grow and the fish they could catch. 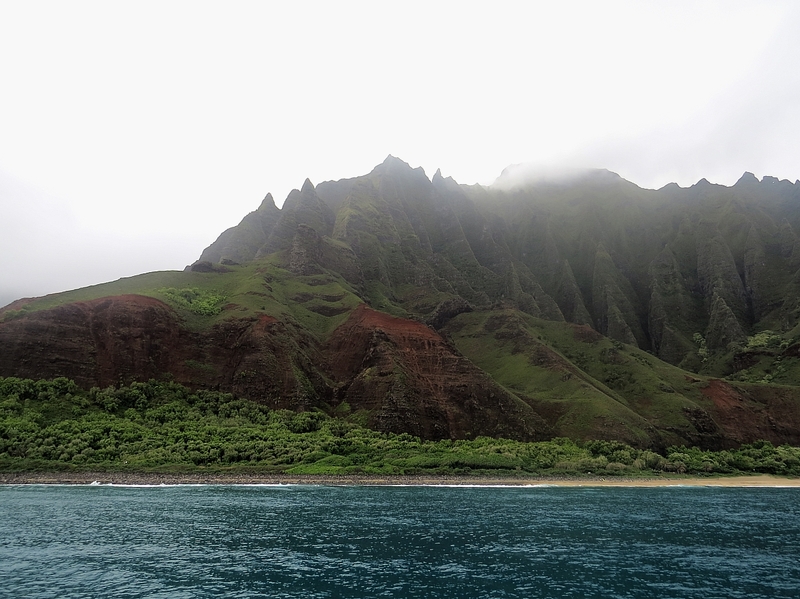 The coast was a center for trade between Hanalei, Waimea and Ni`ihau, and branched out to nearby island colonies. 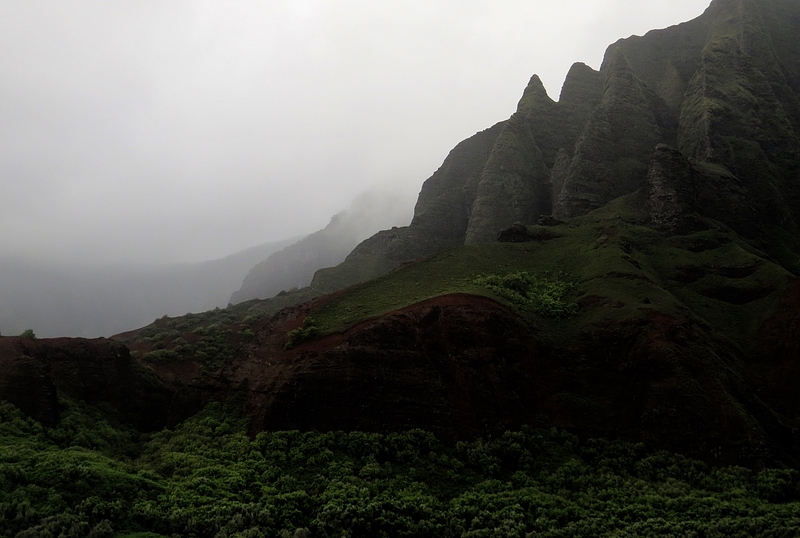 Cattle ranching eventually drew away many of the original people who were living on the Na Pali coast. Many others died after Captain Cook’s visit from the Western diseases brought by the missionaries. 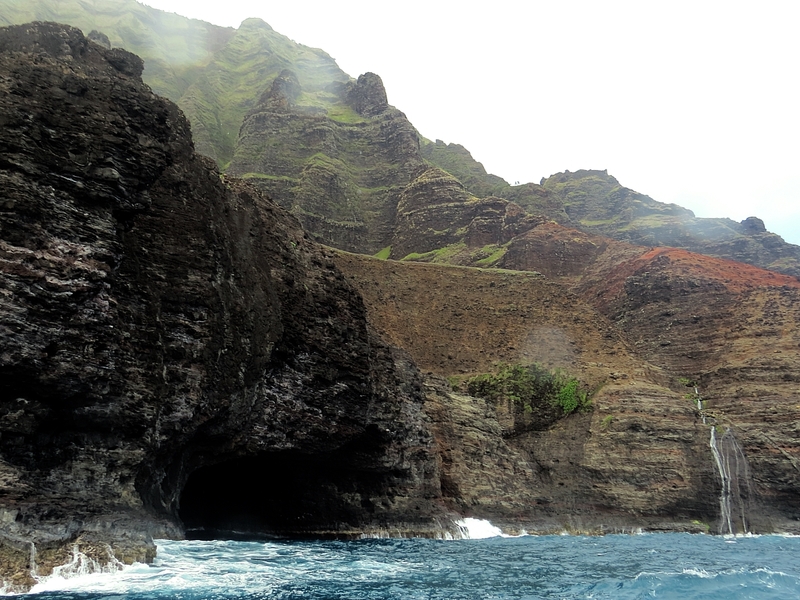 The last known native Hawaiians to live along the Na Pali Coast were sighted in the 20th century. 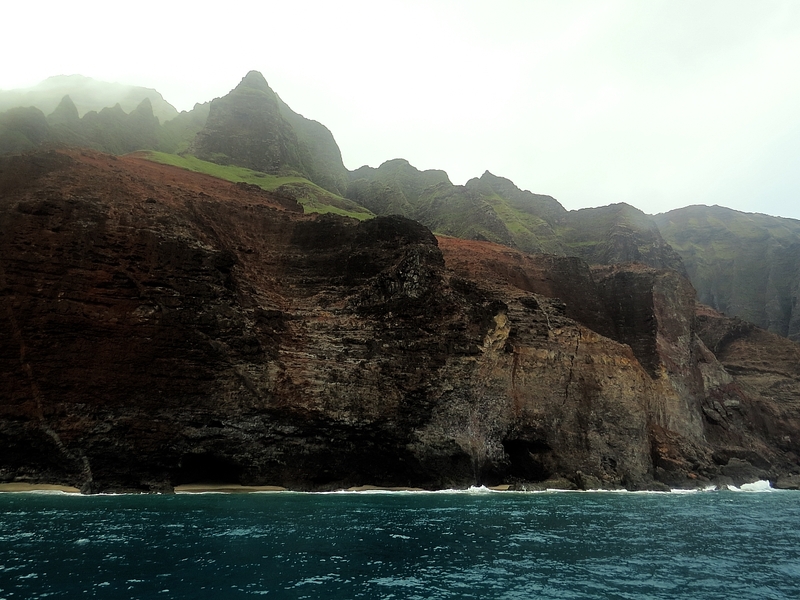 Some of these cliffs rise up to 4,000 feet above the Pacific Ocean. The height of these cliffs is pretty astonishing. 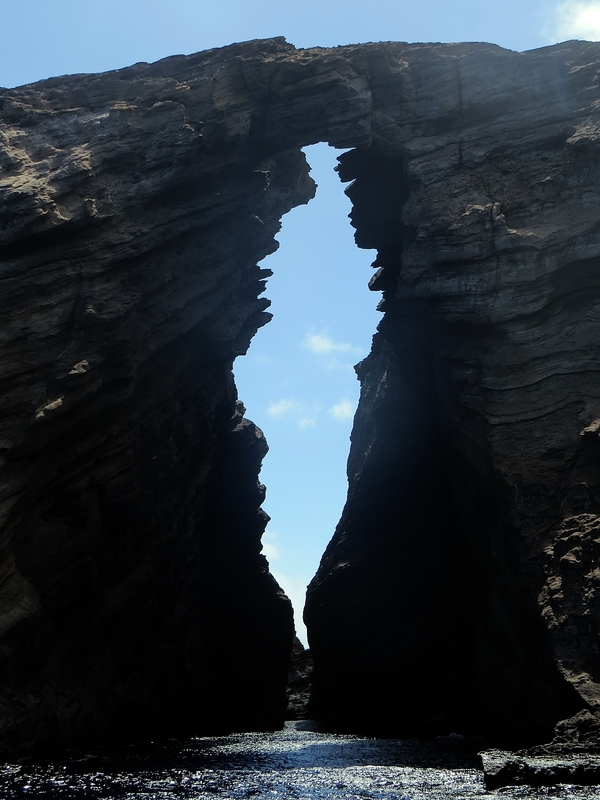 It’s hard to believe that this beautiful coast once came from a volcano. 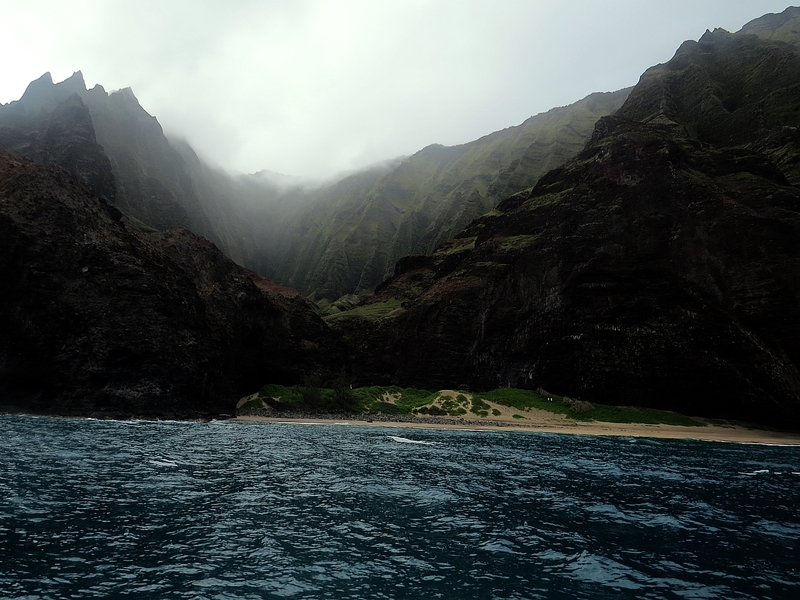 The Na Pali Coast is known as the wettest spot on earth, and, yes, we got a little drenched on our journey as well. 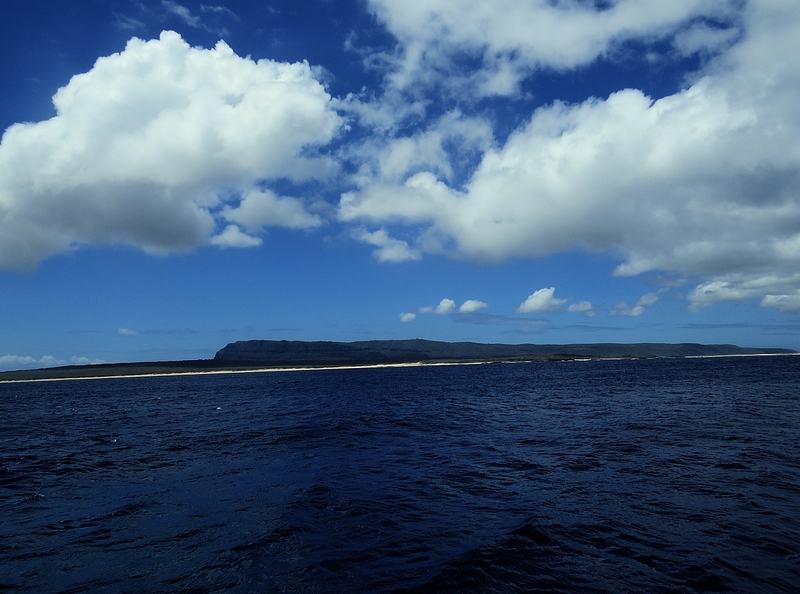 We also anchored close to Niihau where we did some snorkeling at the Lehua Crater. The snorkeling wasn’t the best I’ve ever done, but my expectations are high after snorkeling in Raja Ampat. 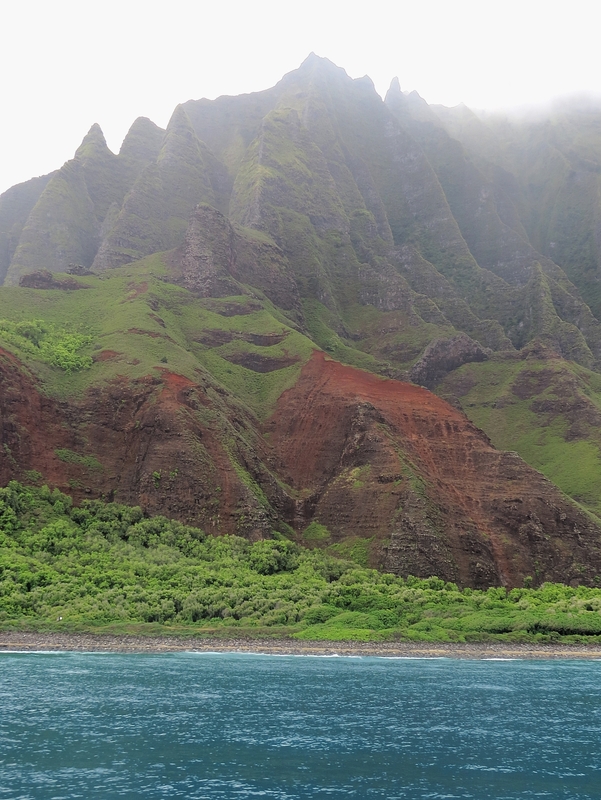 You should note that the boat doesn’t land on either of these places, but only anchors so you can go snorkeling. My experience with Holo Holo Charters was an excellent one with the friendliness of the staff making this a very special tour. Breakfast and lunch were also delicious. The only thing I wish would be different would be for Holo Holo Charters to stress how bumpy this trip is. On their website, they say their type of boat will give you a smooth boat ride. This is not at all true. One guy standing near the railing (who was no lightweight) bounced up so high, the staff had to run and hold him down at one point. So many people got sick on our boat that they ran out of buckets. Usually, the motion sickness wrist bands work for me, but the motion was so bad, that I wish I had taken medicine. They do tell you on their list of things to bring to bring it, but with the website saying the ride would be smooth, I thought the wristbands would be enough. People who said they’ve never been sick on boats before were getting sick, so I can’t stress highly enough, take motion sickness medicine. You will have a much more enjoyable trip. 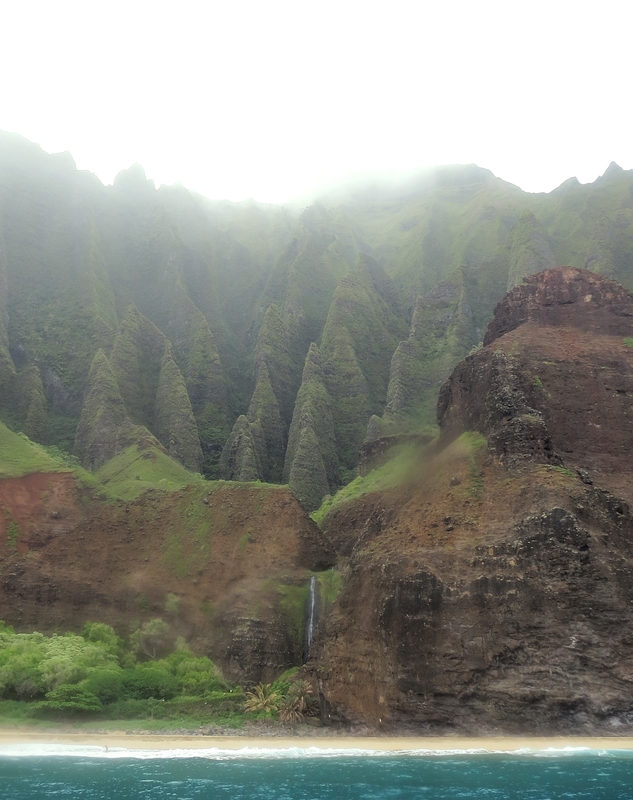 Overall, though, the trip is an excellent one, and seeing the Na Pali coast is definitely the experience of a lifetime. For more about this boat tour, click here. Thanks to Holo Holo Charters for arranging my trip. All opinons are my own and have not been influenced in any way. 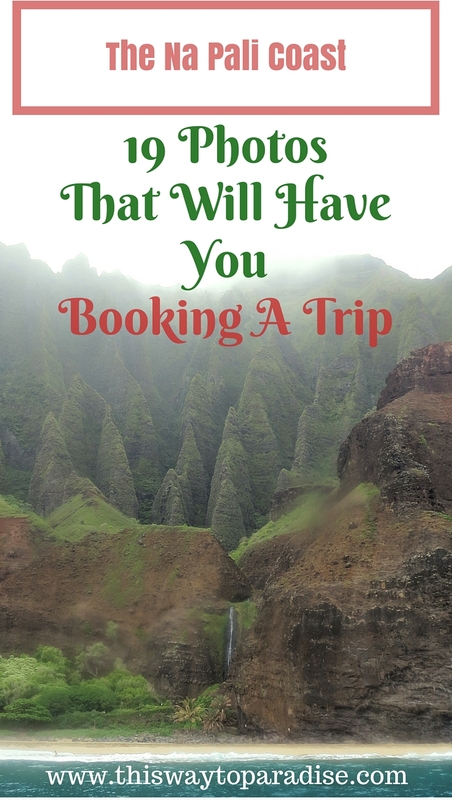 Hover over this image to pin on Pinterest! Wooooooooow. That’s really all I can say. And maybe I can add: spectacular! YES! I never got to see it from this side except by airplane. I would love to go back and view from the water. Looks like a blast! Gorgeous! Oh my gosh, I need to go visit. 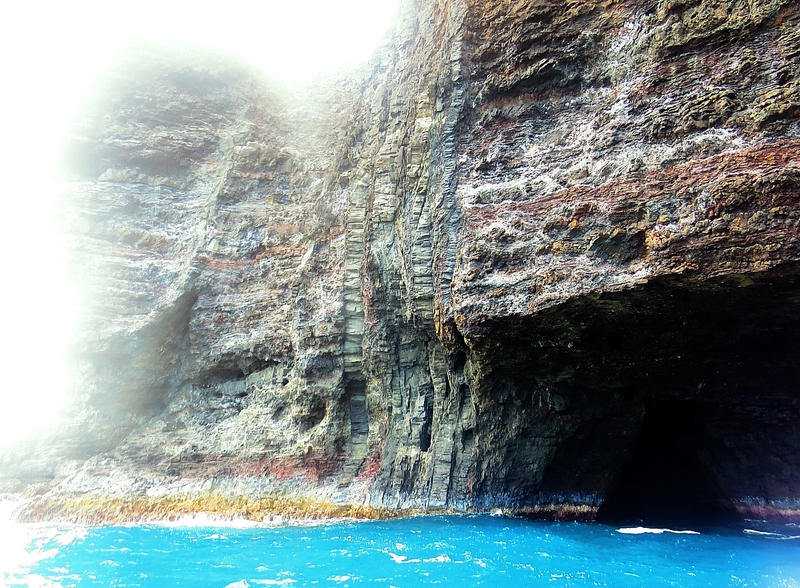 I really don’t know much about Hawaii, and I’ve never heard of this place – but wow. 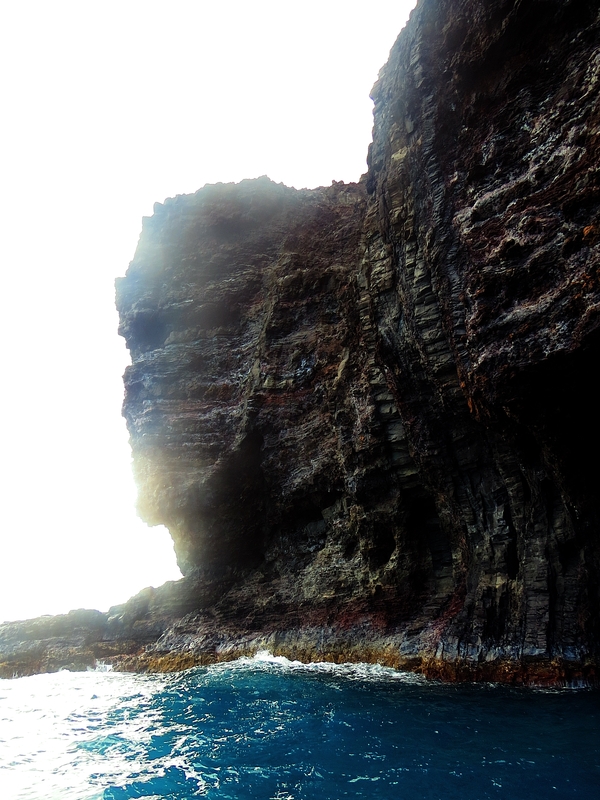 Those rock formations and the water. Absolutely stunning. 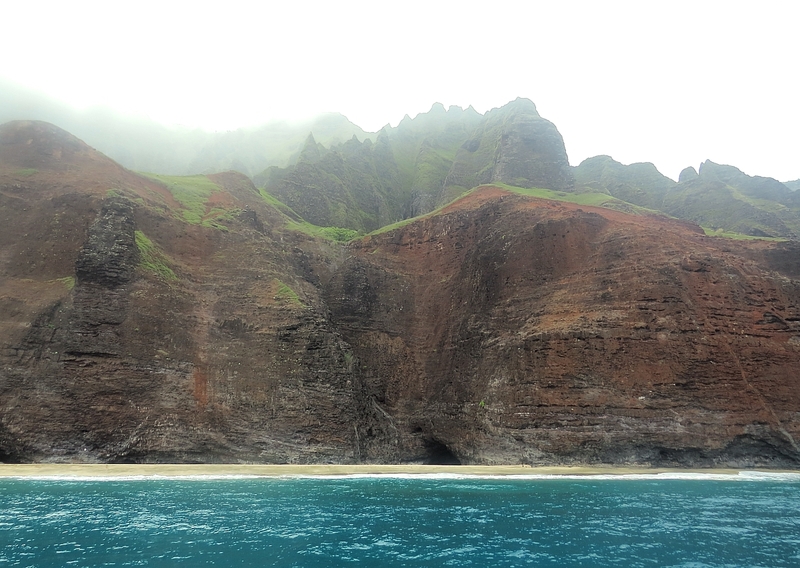 Now I have to put Na Pali coast on my list for when I visit Hawaii.